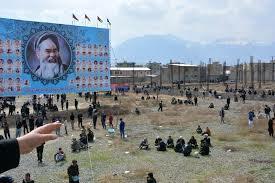 The latest mortar attacks on a public gathering marking Shaheed Mazari’s death anniversary, indicates that militants – either Taliban or IS who have committed such crime, believe in no Islamic teachings and not committed to the national spirit. Over 10 people, including women and children have lost their lives during the mortar attacks from unknown place in a Kabul western Dasht-e-Barchi vicinity. According to the reliable source, over 95 people have also been injured, in the incident. However, the country’s security forces succeeded to locate the area, where the designated armed militants have been firing and arrest the attackers as soon as the incident could be controlled. The attack received condemnations from various national, regional and international organizations. President Mohammad Ashraf Ghani, in a statement released from the Presidential Palace called the attack a criminal act, which targeted the public gathering widely attended by ordinary people who wanted to mark the Afghanistan National Unity Shaheed, Ustad Abdul Ali Mazari. “The attack was a terrorist and criminal act and enmity to the civil and human values,” said the country’s president as quoted by the statement. This means that terrorist groups are not ready to negotiate on peace with the people of Afghanistan and are under some regional countries’ intelligence pressure to bring the government’s peace measures under question by targeting national and religious meetings. Peace with the Taliban group who are likely behind the attack on the public gathering, in the capital Kabul, should cautiously be handled as they seem planning to impose their own-introduced Islamic laws. The U.S.’s envoy for Afghanistan peace negotiations, Zalmay Khalilzad who is since long in talks with the Taliban, should set ceasefire as the first condition of peace talks with the Taliban. Because as seen since the start of peace talks between U.S. and the Taliban representatives, the militants have launched several attacks including suicide blast and other explosion taking life of tens of security troops and civilians in various parts of the country. In Ghazni, the militants launched terrorist attack on a security compound killing numerous of young security forces, destroying the ancient city and burning large numbers of shops and stores. Also in the latest incident, in southern province of Helmand, they sent their suicide attackers to a security stronghold killing scores of the country’s security troops and wounding many others. This means that they don’t believe in peace and security of the country and the people, but want to continue war and bloodshed as they have no authority of their own, but working for others who want Afghanistan continue being in turmoil and chaos. The people should also help the country’s security and defense forces to identify those disturbing their security, arrest and bring them to court.